What does Scientology do for society? The Church of Scientology and its members are committed to social betterment and provide assistance in a wide range of activities across society. Indeed, Scientologists who bring their individual expertise to the service of the community are volunteers like no other. For they bring more than their willingness and spirit to the task at hand. They utilise L. Ron Hubbard‘s breakthroughs and technology for helping – and so are able to provide a broad range of practical skills to remedy conflict or upsets, improve communication, resolve study problems, restore personal integrity, and even handle failure in virtually every aspect of life. 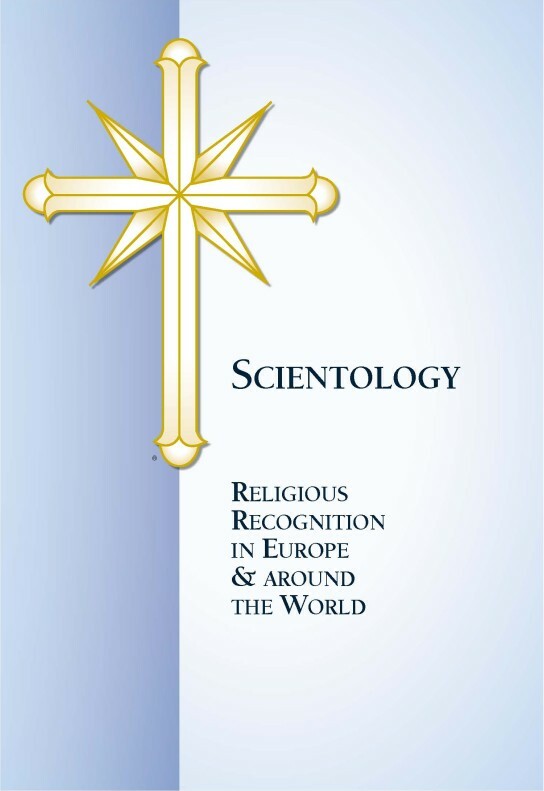 Many Scientologists work actively within social betterment organisations that use Mr. Hubbard‘s technology in secular settings to resolve the broad societal problems of drug abuse, crime, failing educational systems and moral decay. For decades now, Narconon International has provided a phenomenally successful drug-free drug rehabilitation and prevention programme – and through the support of the Church and its members, the benefits of Narconon’s methods have been felt across the continent. Today Narconon comprises a network of 143 rehab centres and drug education programmes in 37 countries, including Belgium, Croatia, Czech Republic, Denmark, Germany, Greece, Holland, Hungary, Italy, Norway, Spain, Sweden, Switzerland and the United Kingdom. Dedicated to restoring drug-free lives to drug-dependent people through the application of Mr. Hubbard’s drug rehabilitation methods, Narconon also provides comprehensive training to other professionals and organisations who seek workable drug rehabilitation and prevention solutions. The Narconon Drug Rehabilitation Programme has been acknowledged internationally for its high success rate in getting addicts off drugs for good. Narconon now operates 143 rehabilitation centres and drug education programmes in 37 countries. Applied Scholastics International assists parents, teachers, students, tutors and educators in eradicating illiteracy, through the use of L. Ron Hubbard’s revolutionary breakthroughs in learning which culminated in his development of the Study Technology. With more than 400 licensed schools and community-based programmes, literacy has been brought to millions in Europe and around the world – from Denmark to South Africa, from the United Kingdom to Greece. The Way to Happiness Foundation is dedicated to restoring trust and honesty through the publication and widespread distribution of The Way to Happiness, a common-sense guide to better living. Wherever it appears, the publication acts like a calming oil on troubled waters – reducing crime, restoring understanding and fostering peace. Since 1981, a total of 61 million booklets have been distributed in 95 countries, in 35 languages, including 1.75 million copies distributed throughout Israel and Palestine. Criminon International helps incarcerated criminals learn to be productive members of society with effective reform programmes that provide prisons the means to actually rehabilitate. Active in 2,000 prisons in 28 countries, the programme utilises The Way to Happiness booklet to restore self-respect and personal pride to prisoners – a priceless gift which allows an individual to return to society as a productive and contributing citizen. Scientologists are actively engaged in helping those around them in many ways, from drug prevention programmes to blood drives, from emergency relief services with the Red Cross to Walkathons sponsored by the March of Dimes. They collect holiday toys for foster children and donate food and clothing for families in need. Many contribute to initiatives to preserve or clean up their local environment. In Germany, church volunteers provide musical entertainment at homes for senior citizens, and during the winter give warm clothing, food and hot drinks to the homeless. International drug prevention: As a group, Scientologists are 100% drug-free and work tirelessly to help others to discover the hope and promise of a drug-free life. In France, volunteers regularly distribute food and clothing to disadvantaged families, while volunteers in Spain distribute The Way to Happiness booklets in the streets of Madrid as a calming influence, in areas where delinquency and prostitution are of great concern to the community. Similarly, Italian Scientologists visit homes for the elderly and provide entertainment and companionship. At Saint Hill in Sussex, England, the Church of Scientology’s headquarters in the United Kingdom, Scientologists hold events and charity fetes, attendedby thousands of people, to support charitable organisations such as the Royal National Lifeboat Institute and the Youth Trust, a national group working to keep children off drugs. The Church of Scientology also spearheads an international grass-roots campaign against drugs, uniting concerned community groups and staging public awareness forums, drug prevention rallies and educational conferences. Scientologists believe that the real answer to keeping youth off drugs is to provide them with a full understanding of the dangers of drugs so that each can make his own self-determined decision to be drug-free. This is the thrust of the Say No to Drugs programme, sponsored by the Church of Scientology and its members – its purpose to help bring an end to the international scourge of drug abuse through effective coaction and drug prevention initiatives. Many Scientologists have also become Volunteer Ministers for their local churches of Scientology, providing help and compassion through simple, basic assistance to people in overcoming difficulties they may be having in life – small or large. Volunteer Ministers have also assisted in the aftermath of earthquakes, floods, fires and explosions. Elsewhere, they work quietly to improve conditions within their communities – employing fundamental tools for effective volunteerism. They use techniques easily learned by anyone and provide people of all faiths the know-how to actively contribute in a volunteer capacity. Thus, wherever one finds a Church of Scientology, one also finds a steady, dedicated effort by its members to provide effective help wherever needed. Scientology “Basics” – what is it? “The Basics really form the fundamental knowledge that comprise Dianetics and Scientology. I have been in Scientology since I was five and there is data in these books and lectures I have never heard of before. I though I knew what Scientology and Dianetics were, but I was really mistaken in that assumption. In doing the Basics it’s as if I’m on a journey with Ron, exploring new realms and finding out about areas Man never dreamed of before. Because of the consecutive study the data becomes one big concept and it is really easy to understand and makes sense because of its chronological sequence. If I hadn’t listened to the lectures, I’m certain I wouldn’t have gotten the full understanding I have of everything in the books. Because the lectures give all the data of importance that lead one from the last book to the next one. (And just because the books were written in close intervals, it doesn’t mean that there aren’t a lot of data in between, because there are!) They are my driver’s license to freedom. Everyone who wants to call themselves a Scientologist has to do these courses to really know what they are. – J.S. I haven’t felt like this for years. I felt like I had twenty intensives. When I have a look at the Axioms they’re actually the thetan’s operating manual. They’re truths. The concept that anything that persists contains lies really hit home. I looked at a problem I had and why it resolved so quickly and it was when I as-ised the source of the problem – me. Now I understand why the problem was solved. The Phoenix Lectures also put this concept in perspective for me, where Ron explains the relationship of God and why cultures have a God and that blew charge. – M.C. I always thought I was very good at communicating , but while studying one the Dianetics 55! Extension Course I cognited that I was not “in comm” but obsessively outflowing – annoying people no end. It’s not because I did not care about other people because I prefer listening to myself – quite the opposite. Factually, most of the time I have not just BEEN THERE, and let the circuits just “do the talking”. This resulted in people telling me “you always have to have the last word.” Dianetics 55! put me in comm without having to talk. I found my position in space. I found my own communication lines and I feel that I got in communication with people to whom I have not ACTUALLY spoken for a long time. I can JUST BE! – L.U.